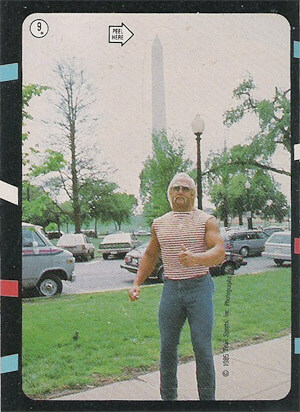 I’m glad to see that in 1984 Hulk Hogan liked the Washington Monument. This is sticker produced by Topps in 1985. It is available for $1.59 with shipping. Or maybe the Washington Monument is visiting Hulk Hogan.